Perfect popcorn...an explosion of buttery, sweet saltiness. 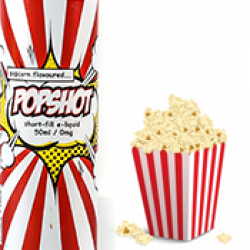 Popshot Popcorn e liquid. Perfect popcorn...an explosion of buttery, sweet saltiness. . E..